Little Spurs Pediatric Urgent Care, Wonderland is a pediatric urgent care center serving the children, adolescents and young adults in San Antonio with extended hours, making them a great option 7 days a week when your child's primary care office may not be open. You can find this clinic located at 4522 Fredericksburg Rd, Ste. A11 and patients can walk in to see them today from 9:00am to 9:00pm (last verified on 2018-08-11). Recognized favorably amongst their patients, Little Spurs Pediatric Urgent Care, Wonderland has an average rating of 4.6 stars out of 5 based on 225 total ratings. 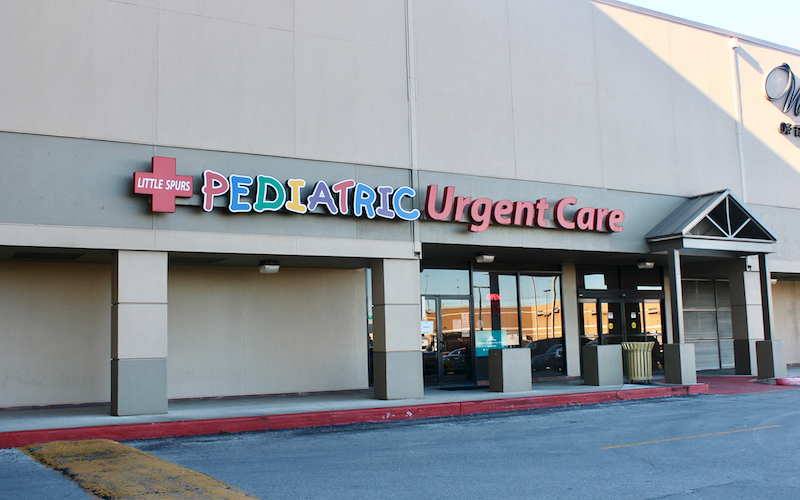 Nationally, most pediatric urgent care patients see average wait times between 15-30 minutes before being seen by a provider, which should be expected at Little Spurs Pediatric Urgent Care, Wonderland as well. Was seen faster than I expected, and had diagnosis quickly. Prescriptions were already called in by the time I got to the pharmacy. Always great with my childern. Best urgent care in city. Thank you. i was happy with all the visit the only thing is that i was positive that something is wrong with patient and was told she was fine just keep up allergies meds. still has fever that comes and goes and cough has gotten worse and it seems like it hurts. Dr. was great! She took her time and explained so I could understand. Definitely hope to see her again if needed. Dr Perryman was very thorough and friendly. Thank you all for the care you give your patients. All went really well I really like coming to this location I always feel confident in the doctors and treatment my kids get. Excellent! Dr.Perryman was very kind with me and my son. Explained her findings and plan with us in an great way. All the staff was very nice. Thanks! All your nurses and drs were great. We will definitely use this clinic again. Seen quickly, but the doctor seemed rushed. Overall good 1st experience.